For Valentine's Day we baked little heart shaped sugar cookies for Ava's friends at pre-school. 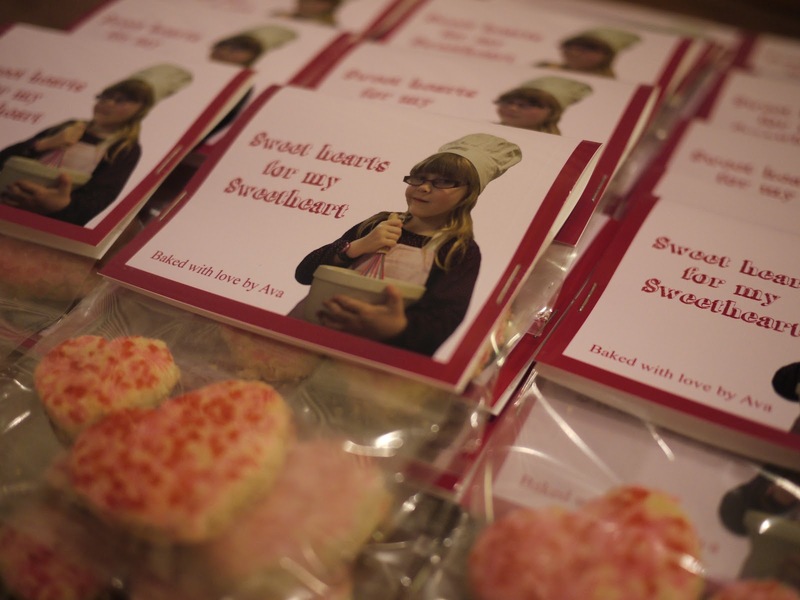 We packaged them up in little bags with a picture of Ava the baker on the label. The label read "Sweet Hearts for my Sweetheart". Ava thought that this was absolutely hilarious. I think that it was just the right amount of cheesiness for Valentine's Day! In February we hatched some new little friends with three eyes. That's right, you read correctly - three eyes! 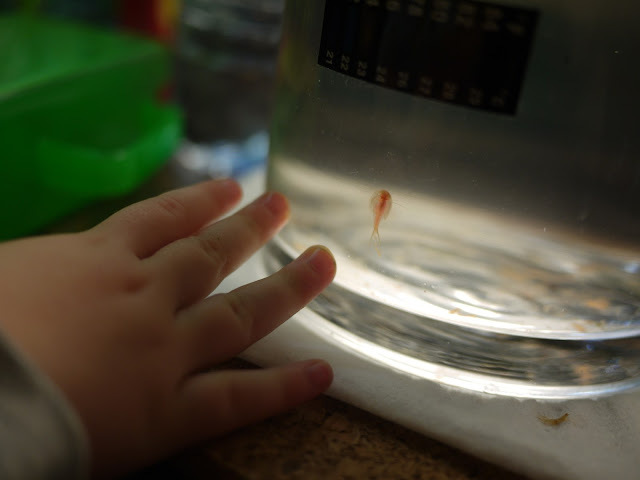 These little guys are called Triops and they've been around for millions of years. You can see our three eyed friends here. Ava has a lazy eye and needs to wear a patch for a few hours each day. Every now and then she needs to use drops as well. 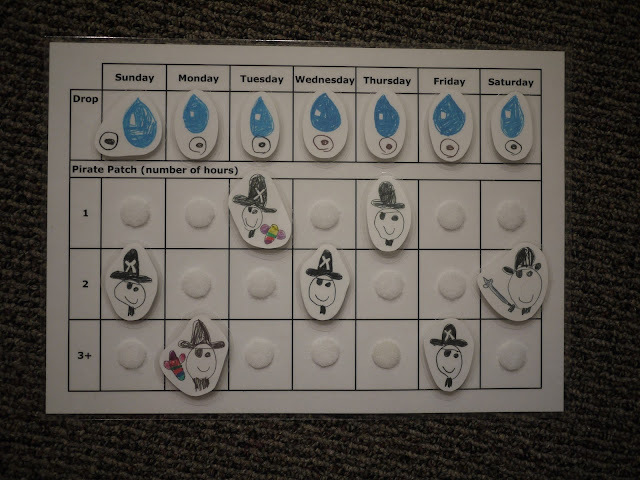 To help keep on track of her patch wearing we made up a special chart. You can see her pirate patch chart here. A few years back Ava and I made an activity calendar to help her learn the days of the week and keep track of her activities. With so many new things happening here in Berkeley the calendar needed a little updating. Here's a look at Ava's updated calendar. Ava and Lola like to take it in turn using the swiper and keys to get into our building and apartment. As I only have one set of keys there's quite often a little fighting over them. 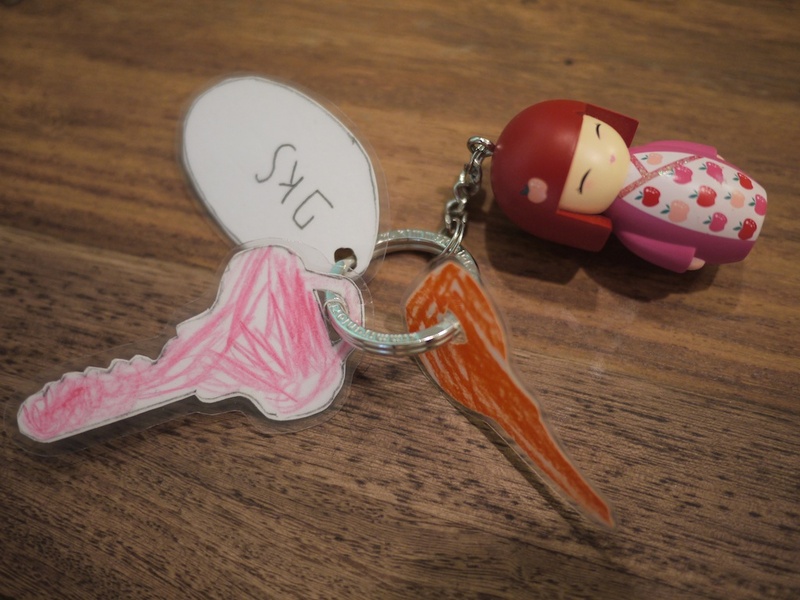 Ava decided she'd fix this problem by making her own set of keys. You can see them here. Ava's very own keys to the building! My parents spent six weeks travelling around Europe in March and April. 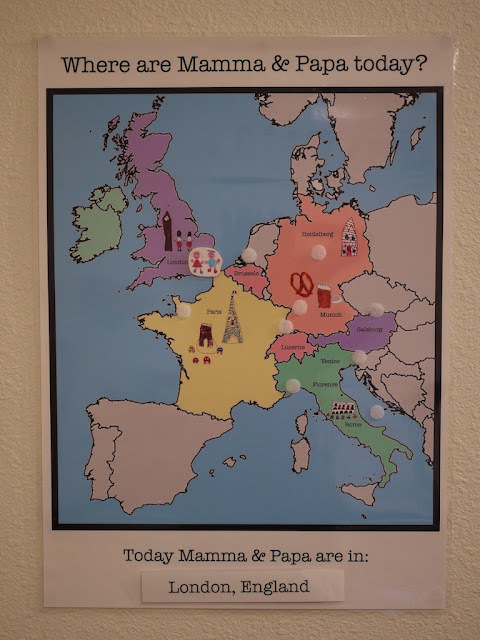 To keep track of their travels we made a map complete with little "Mamma and Papa" characters to move around the continent. You can see little Mamma and Papa and their map here. Where are Mamma & Papa today? This year there were no foil covered eggs to search for on our Easter egg hunt. Instead we went down the traditional route (or at least traditional here in America) and coloured real eggs to search for on Easter Sunday. 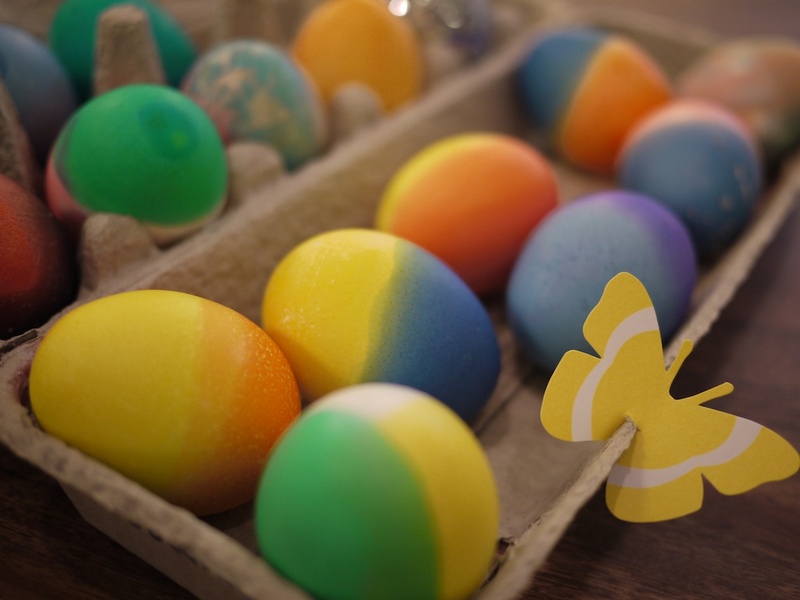 You can see our colourful eggs here. As well as there being no foil covered eggs available here I discovered that hot cross buns (as we know them) don't really exist here either. No problem, we just made our own! 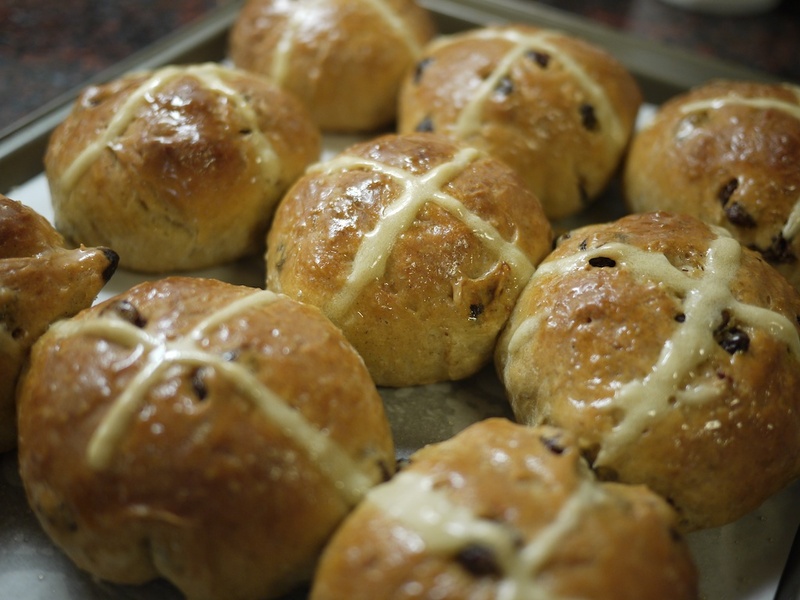 You can see our home made hot cross buns here. 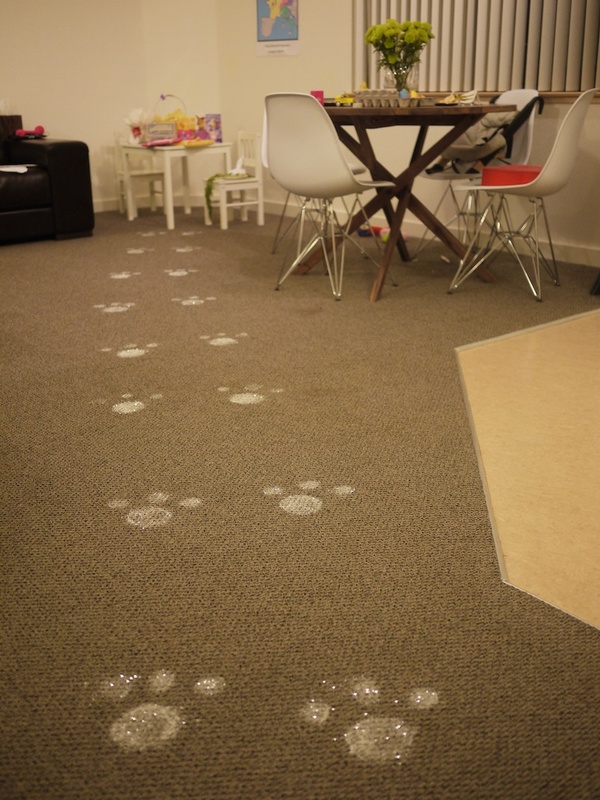 Easter Bunny left a sparkly trail of footprints when he visited us this Easter. You can see them (and how he made them!) here. The Easter Bunny left more that just chocolate this year! Ava's pre-school teacher loves pickles. 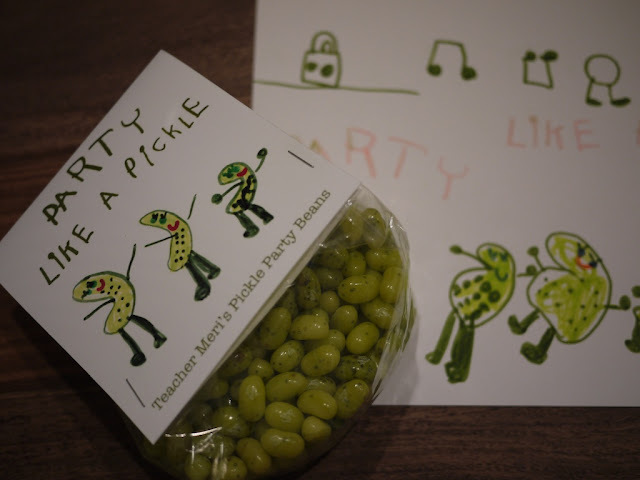 For her teacher's birthday Ava made her a bag of Pickle Party Beans. You can see them here. 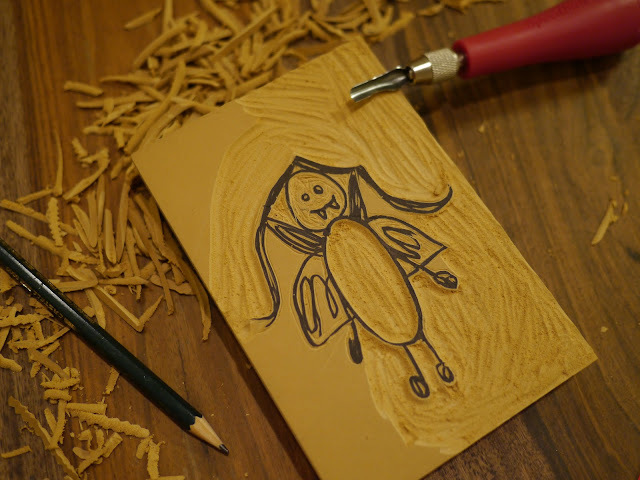 For Mother's Day we always make cards for the Grandmas and Great Grandmas featuring the girls. It was a little rainy this year when we did our photo shoot so Ava drew a few extra touches to add to our photos and make them a little more fun. You can see them here. After their long European holiday my parents came to San Francisco to visit us for a week. 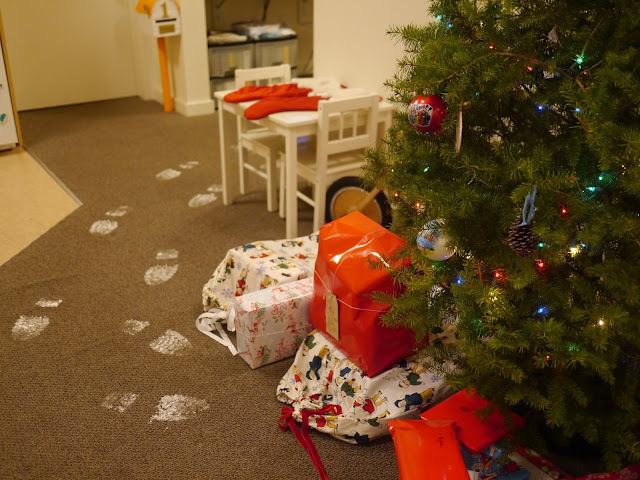 The girls and I got to work before their arrival to make them feel extra welcome. They were greeted with "Welcome Mamma & Papa" bunting and were delighted to see the girls wearing special t-shirts made just for their visit. You can see what we made here. Remember I mentioned that Ava's pre-school teacher loves pickles? 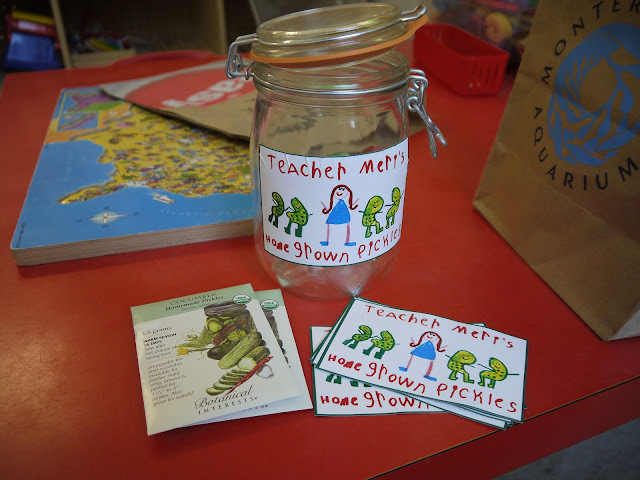 Well, for Ava's last day of pre-school (and her teacher's last day before retirement) Ava and I made up a special pack for her teacher to grow her own pickles at home. You can see the pickle pack here. Lucky Kim gets two Father's Days each year. American Father's Day falls in June and Australian Father's Day falls in September. I only get one Mother's Day. 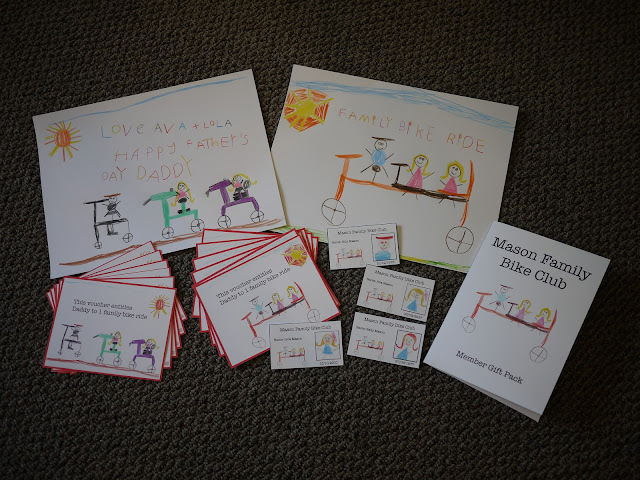 For American Father's Day Ava and I made up a Mason Family Bike Club pack complete with ID cards for each club member and vouchers to be redeemed for family bike rides. You can see the pack here. During the Summer vacation we kept ourselves busy with all sorts of craft and science activities. 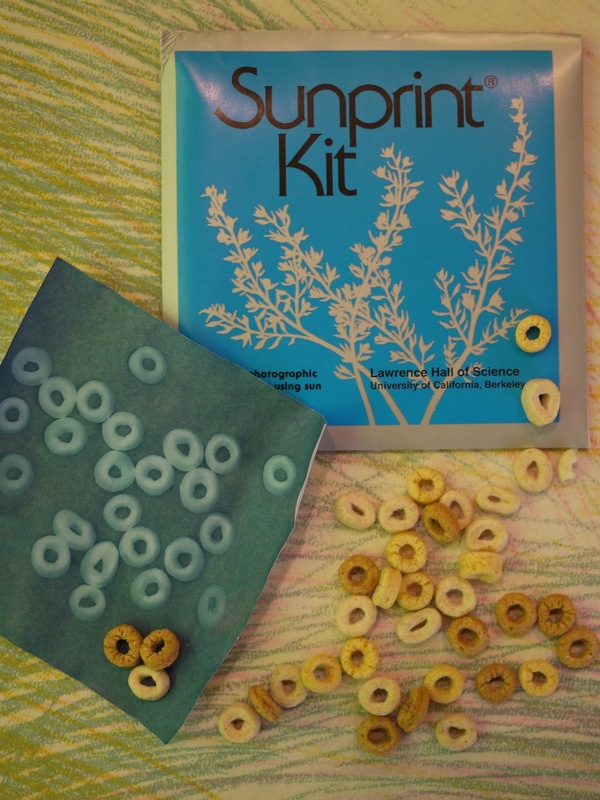 First up we spent a sunny afternoon up on the roof deck making sun prints with all sorts of things: cheerios, leaves, keys, our hands... You can see what we created here. 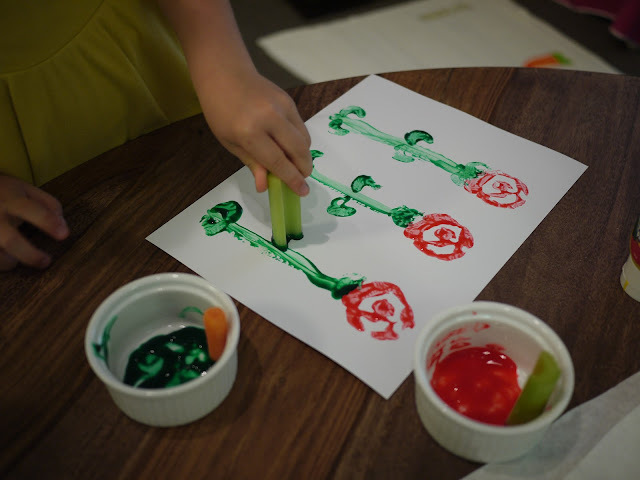 Painting (or printing) with vegetables was another fun project that we did over the Summer - and a few times since. We made flowers, patterns and self portraits with carrots, celery and bok choy. You can see our masterpieces here. We don't have our own garden space so we decided to grow miniature gardens to keep on our window sills. 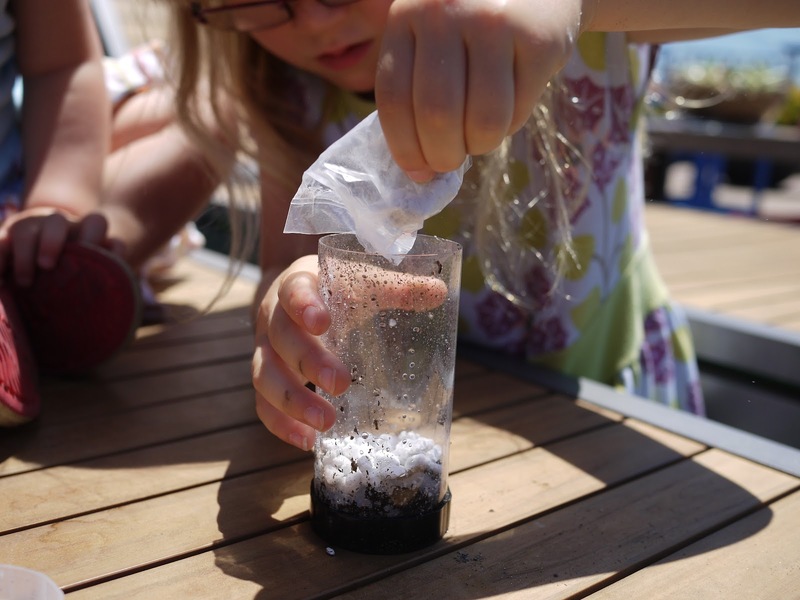 We planted seeds in mini terrariums and eggs. That's right, eggs! You can see our little gardens here. Remember making Shrinky Dinks back in the 80s? I do! And now my girls have made their own too! 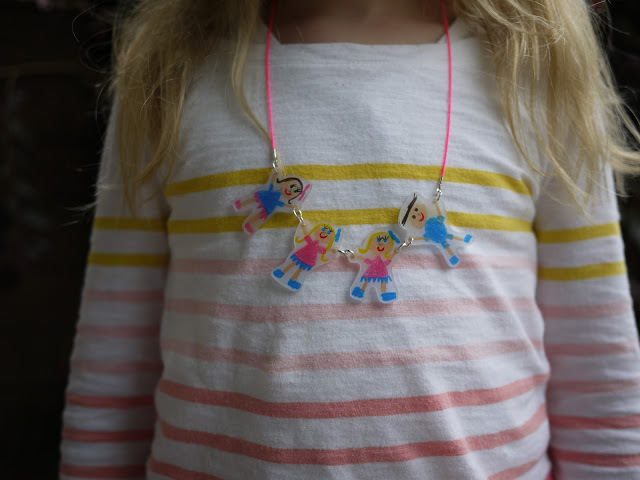 Ava created a mini family to wear as a necklace. Isn't it cute? You can see more of it (and other things we made) here and here. More portraits here! 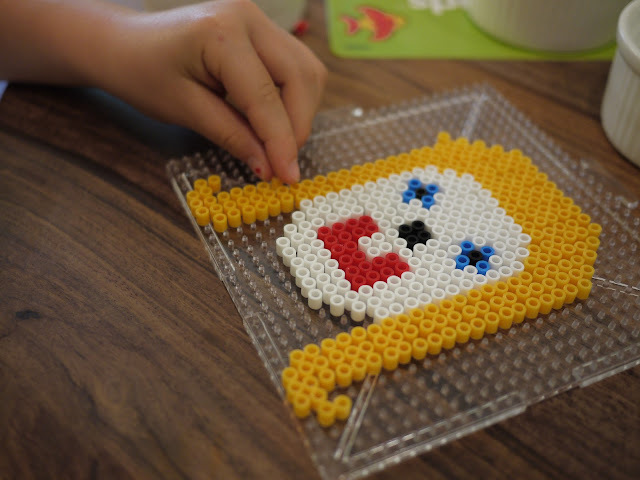 We spent a few days working with Perler Beads to create portraits, landscapes, ornaments and more necklaces. You can see what we made here. 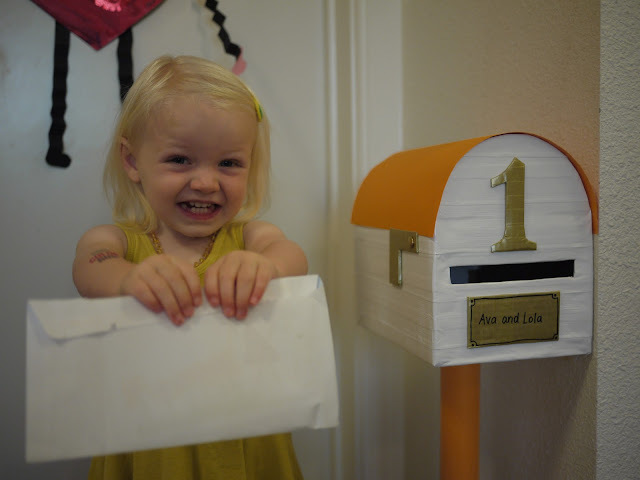 Inspired by a wooden letterbox and mail that Lola loves playing with at Habitot I decided to make our own letterbox to keep by the girls' bedroom door. Months down the track and it's still a big hit with both girls and (completely unintended) a great spot for Lola to hide important things like, oh... house keys, credit cards, remote controls... You can see Lola playing with her new letterbox here. Time for Round 2 of Father's Day! 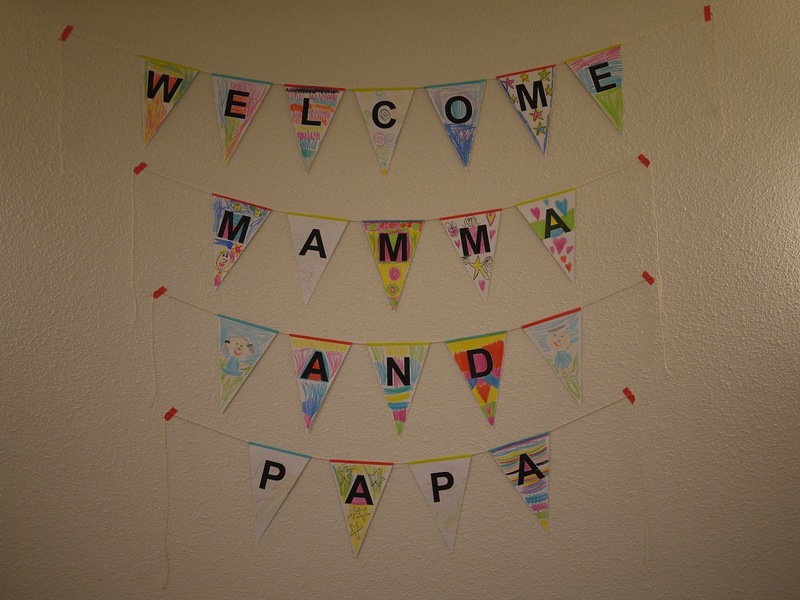 In early September we celebrated Father's Day... again. 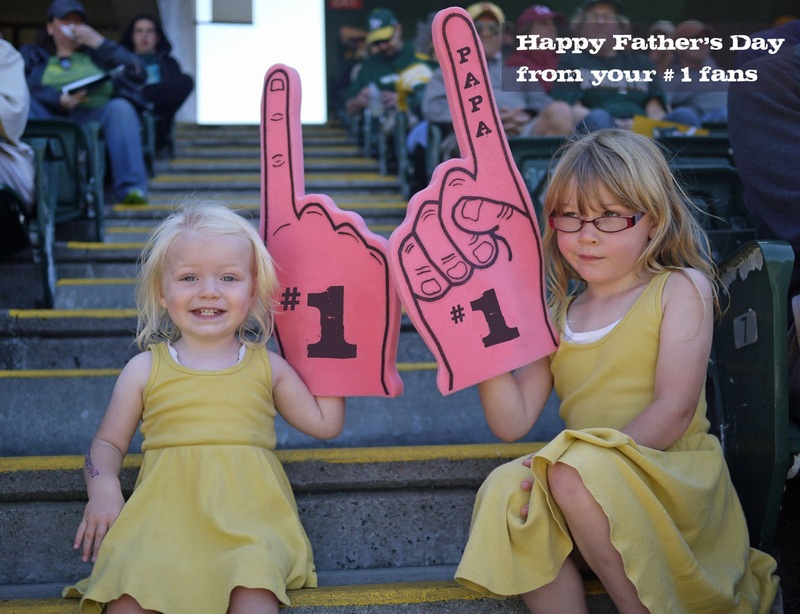 Cheesy cards featuring the girls are my favourite thing to make for Father's Day. Our trip to the baseball in August provided us with plenty of cheesy "Number 1 Fan" photos to use! 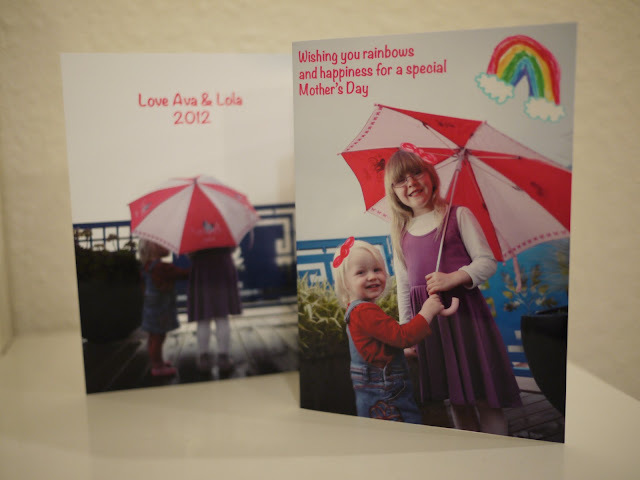 You can see our cards here. 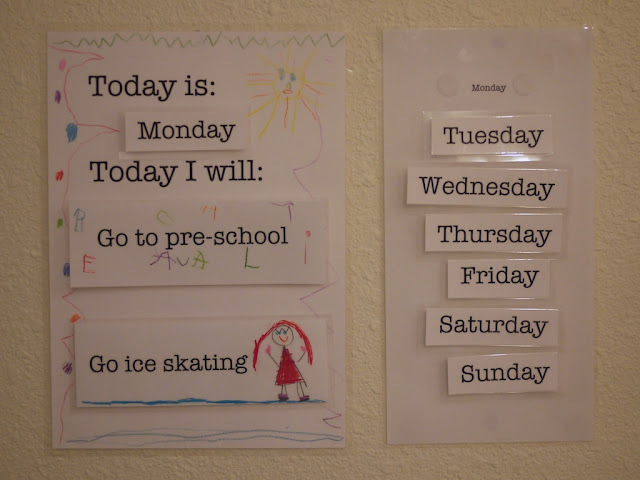 Most Wednesdays we meet with friends and work on craft projects or baking with the kids. 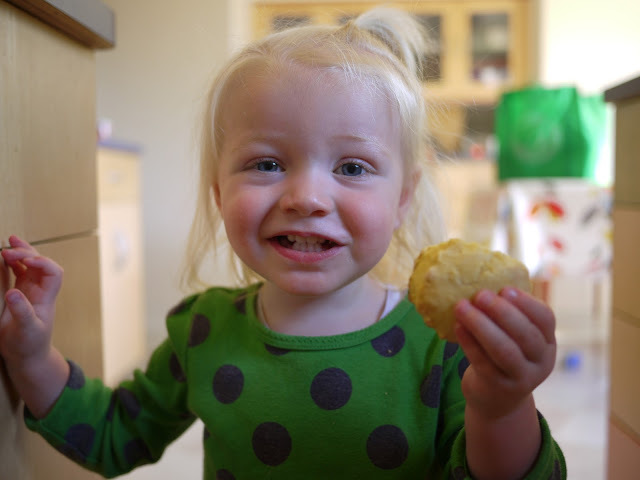 One week we made pumpkin scones and they were delicious. You can see the kids having fun baking, and find the recipe, here. In September we visited Disneyland with my sister Kylie. 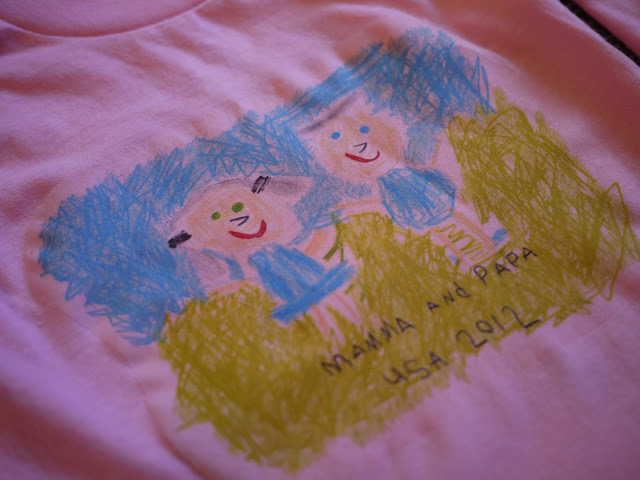 Just like when my parents visited us, Ava and I worked on special t-shirts for the girls to wear. This time Aunty Kylie got one too! 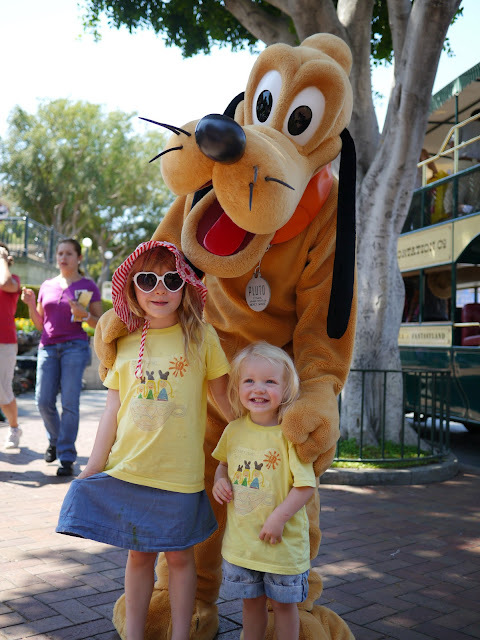 You can see our Disneyland 2012 t-shirts here. After our trip to Disneyland Lola was a little obsessed with Mickey Mouse and decided that he should be the theme of her 2nd birthday party. We made all sorts of Mickey Mouse shapes goodies: birthday cake, cookies, cupcakes, cheese slices... And of course, a Mickey Mouse piñata! 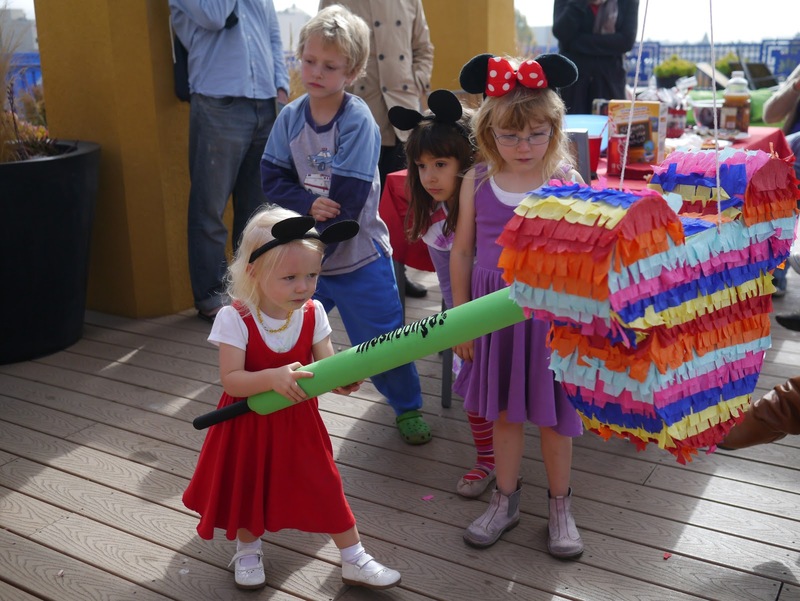 You can find a DIY for Lola's Mickey Mouse piñata here. 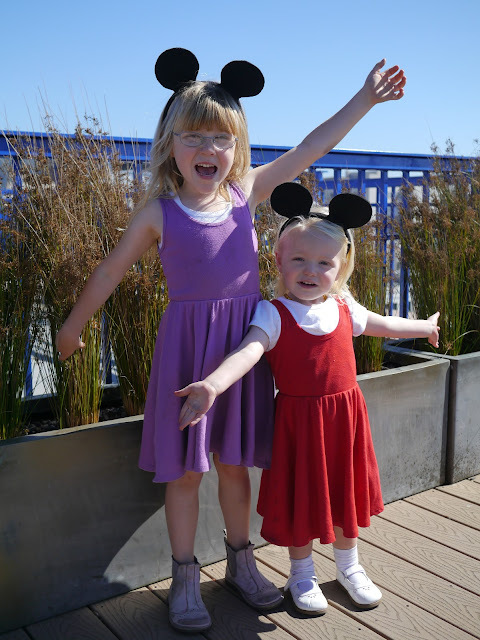 A Mickey Mouse party isn't complete without Mickey Mouse ears! We made Mickey Mouse ears for all of Lola's party guests. You can find the DIY here. 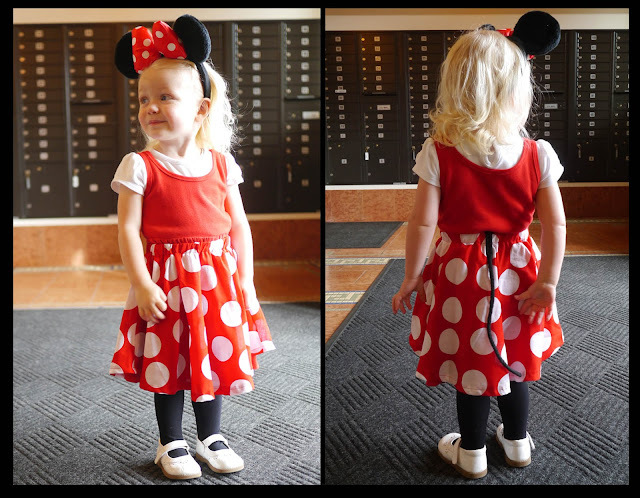 Hooray for Mickey Mouse ears! October was upon us before we knew it. Time for carving pumpkins. The year before Ava was a little young to carve her own pumpkin. This year she decided that she was a pro at it and got to work. 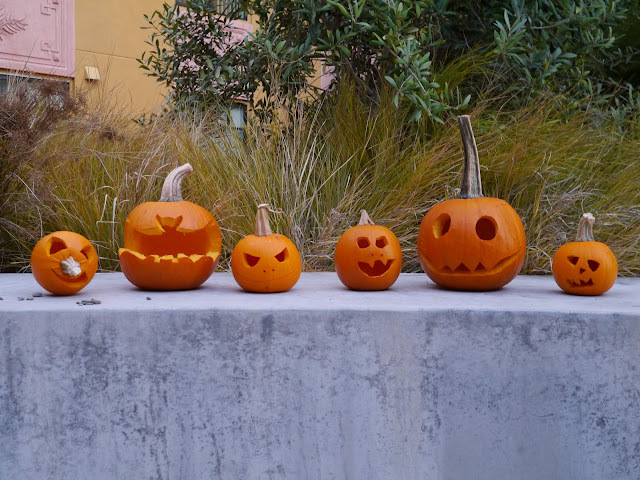 I was quite surprised at how well (and safely) she managed to carve her little pumpkins. Here's a look at all of the jack-o'lanterns we made. Ava wanted to make Halloween cards for her friends. I wanted to work on a different printing technique that I hadn't done for years. We merged these two things together and created lino block prints of Ava as a vampire. Here's a look at the cards we made. Halloween isn't complete without costumes! Here's a look at the costumes I created this year for the girls and myself. 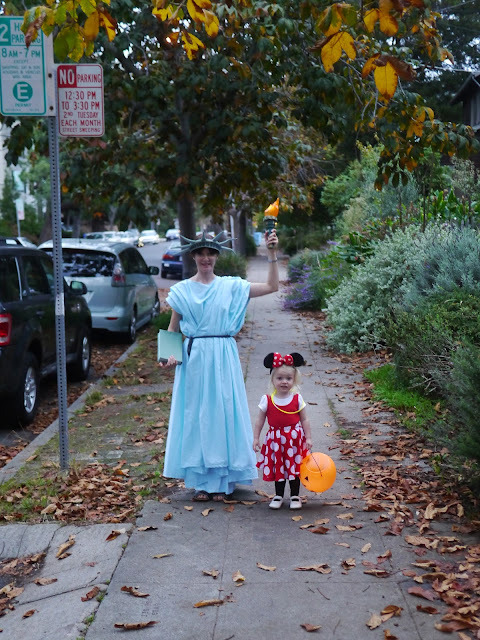 Ava was a super hero, Lola was Minnie Mouse and I was the Statue of Liberty. 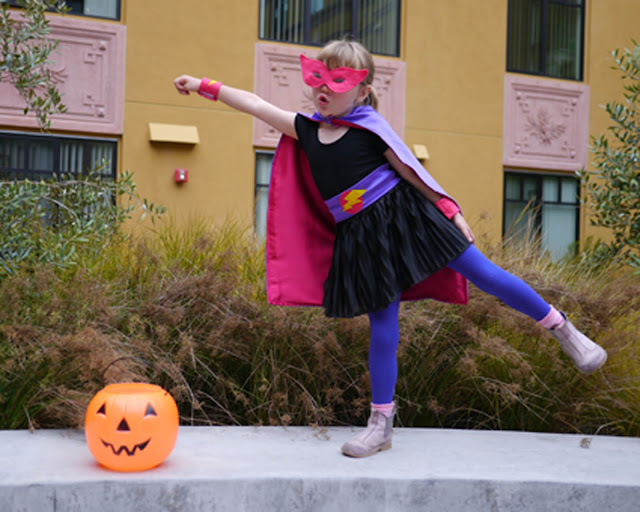 Lola's costume actually received an honourable mention in American Apparel's Halloween Costume contest! You can see more of our trick or treating fun here. Following hot on the heels of Halloween was Day of the Dead (Dia de los Muertos). We made brightly coloured paper skull masks with our friends using a kit from Paper Source. 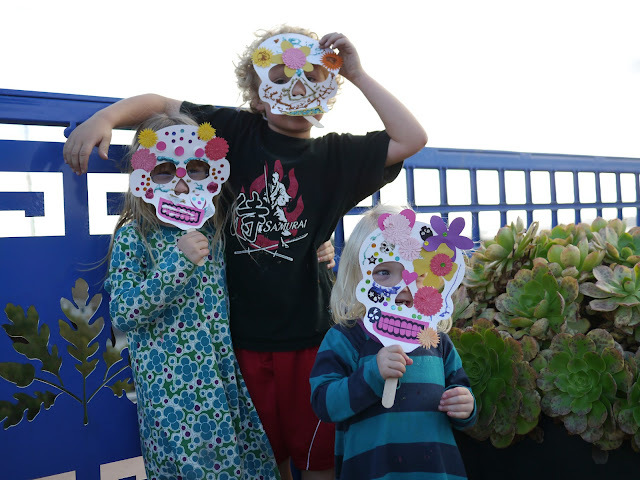 Here's a look at our not so scary skull masks. 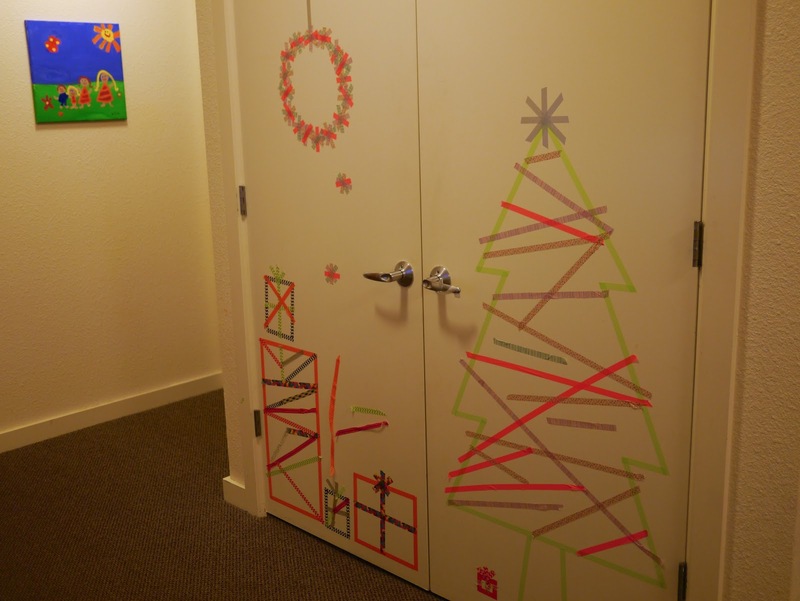 Thanksgiving provided us with so many opportunities to get creative. First up we made turkey hand prints. They were so much fun to make and even Lola, who hates getting her hands messy, had a great time creating them. 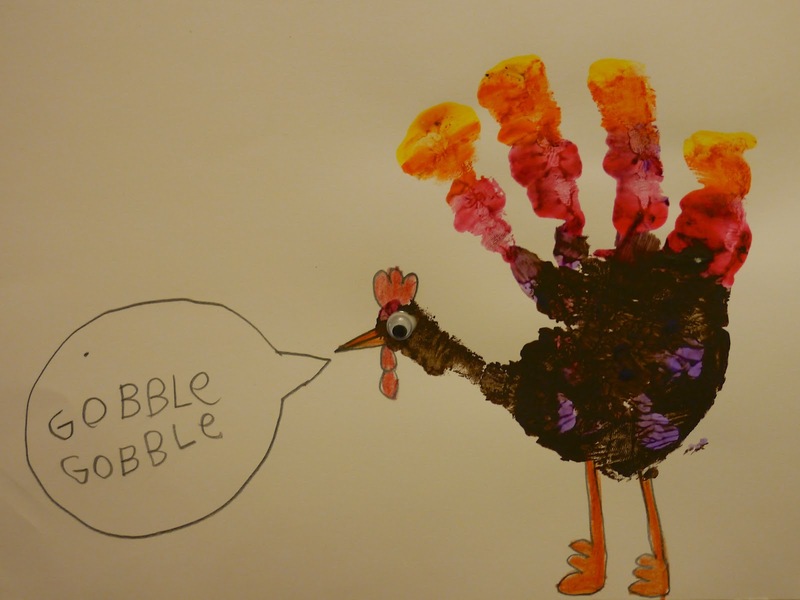 We added goggly eyes and a few extra touches and our handprints magically turned into turkeys! You can see see our turkeys, and the fun we had making them, here. Over Autumn we collected lots and lots of beautiful leaves. To decorate our apartment for Thanksgiving I made a leaf garland out of some of our favourite leaves. You can find a DIY to make your own here. 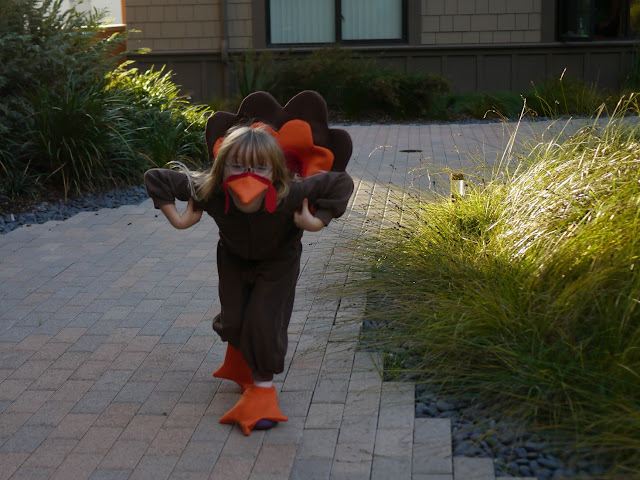 Ava decided that she needed to dress up as a turkey for Thanksgiving! I was a little unsure at first but then thought it would be fun - and would make use of my new sewing machine! I made costumes for both girls but Lola decided she didn't want to wear hers in the end so I didn't get any photos of her. She did look super cute though. You can find plenty of photos of Ava as a turkey here. 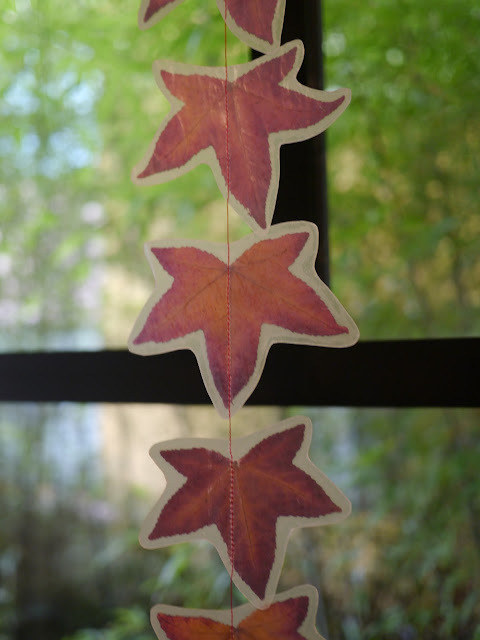 After making the Autumn leaf garland we still had plenty of leaves left over. 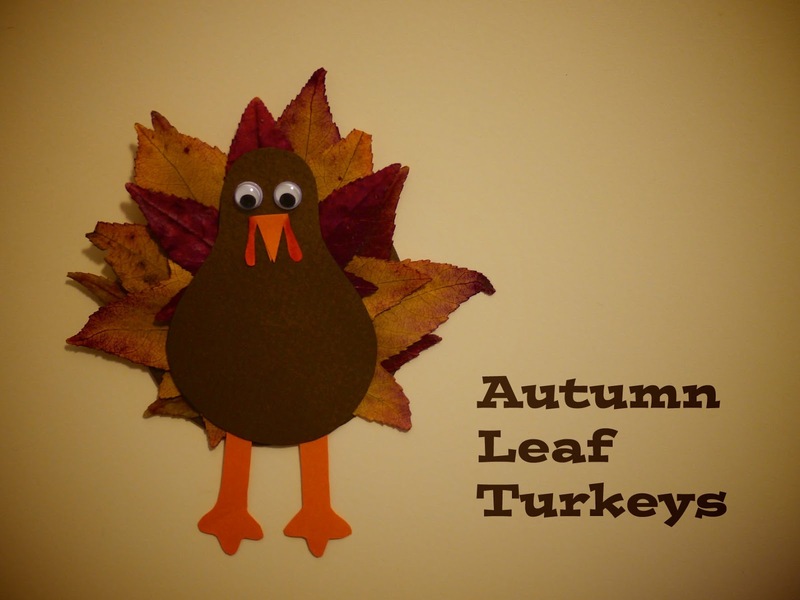 With the addition of a little cardboard and goggly eyes the leaves were turned into yet more turkeys for Thanksgiving. You can find a DIY to make your own here. 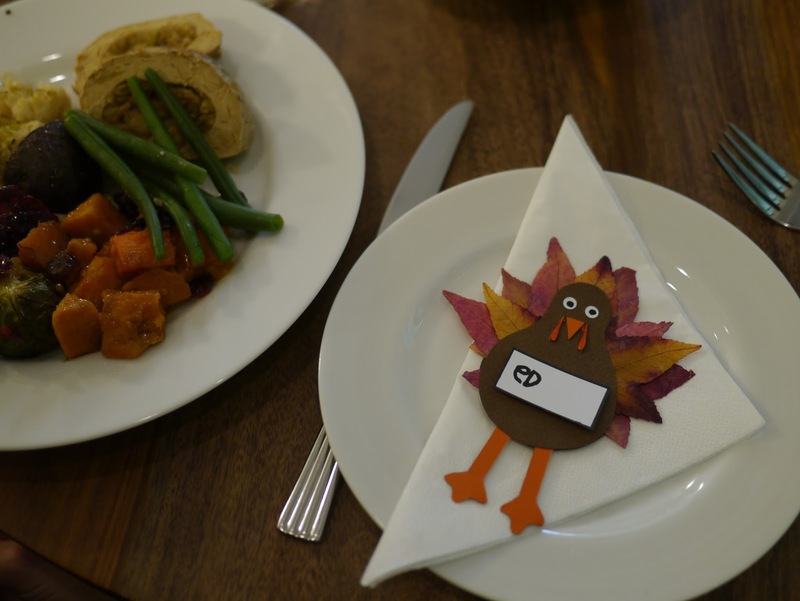 We ended up using our leaf turkeys as place cards for our Thanksgiving lunch. You can see them on our dining table here. As soon as Thanksgiving was over it was time to get working on Christmas. 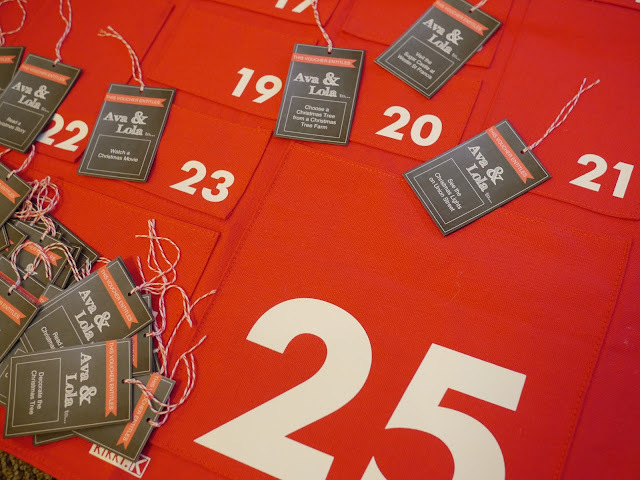 First up was our advent calendar. 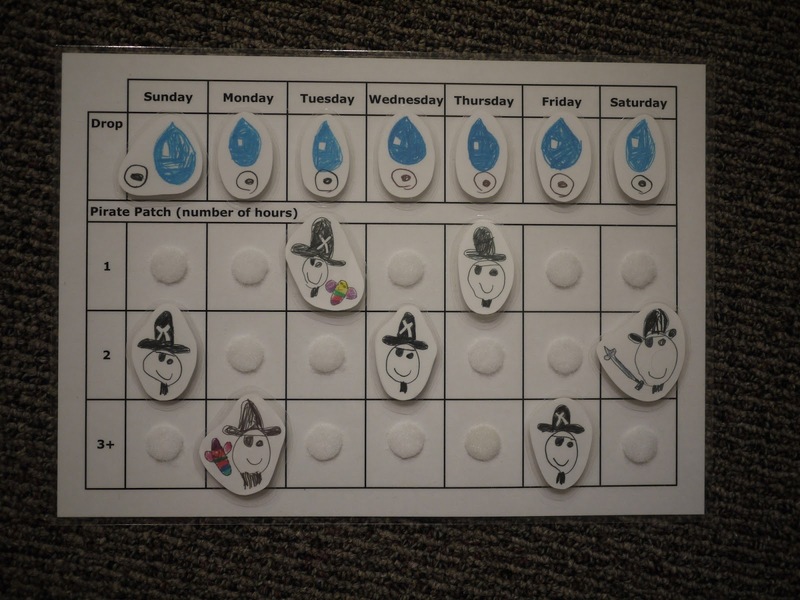 I made up activity cards to go in our Kikki-K advent calendar. Each card entitled Ava and Lola to a different Christmas themed activity such as choosing a Christmas tree, making Christmas crafts, baking honey biscuits... You can see our advent calendar here. Inspired by a post on the fabulous blog Modern Parents Messy Kids we got creative with our washi masking tape and created a Christmas tree, wreath and lots of presents. You can see what we made here. 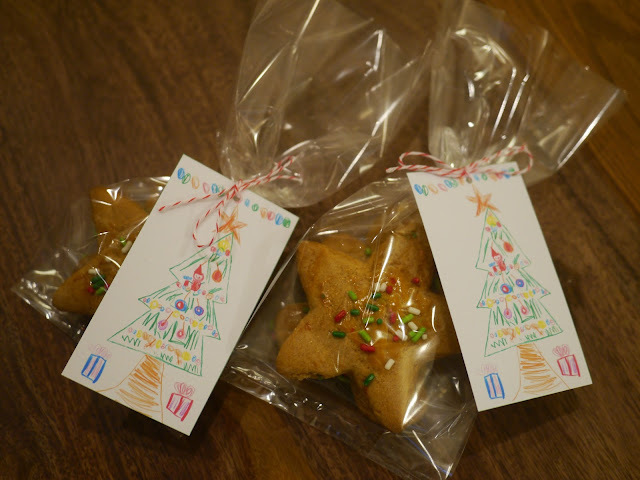 Honey biscuits are a Christmas tradition in my family so we baked up a storm one day and made up little packages of biscuits (cookies) for Ava to share with her classmates. You can find the recipe here and see the final packages here. just love all your activities, Sally! You are so incredibly resourceful! 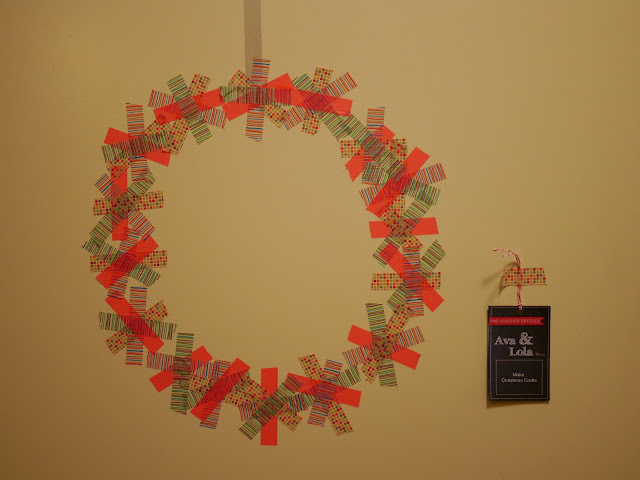 I really want to copy your Valentines project - it is just soooo cute! The leaf garland is another idea that we might try...we have so many leaves up here in the hills! Your easter eggs are gorgeous and the mothers day card amazing with the behind of the girls on the backside of the card What an eventful year you guys have had! Thanks Nina :) I'm always trying to come up with something fun to keep the girls occupied and the keep the creative juices flowing. I was really happy with how the leaf garland turned out. I scoured the internet after I came up with the idea but couldn't find anything similar so I'm pleased to have come up with at least one original thing ;) We still have it hanging in the lounge room. I didn't expect it to last so long when I made it. Ava's Valentine's Day cookies were a huge hit at pre-school. Even months later at her pre-school graduation I saw parents pointing Ava out while saying "That's the girl from the Valentine's cookies"! Seeing as she was relatively new at her pre-school at Valentine's Day it was a great way to get all the kids knowing her :) That hadn't been my intention but it certainly worked! They're not supposed to have cookies and candy at school so I've got to come up with a healthy alternative this year.